Ongoing Negotiations Could Reduce Bell’s Suspension | "IT'S A STEELERS WORLD"! ESPN’s Dan Graziano reports that the NFL Players Association and the NFL are negotiating a settlement that could reduce the suspension of Pittsburgh Steelers running back Le’Veon Bell from three games to one or two. Good news for Steelers fans since the previous report was NFL Commissioner, Roger Goodell had no idea Bell had even filed an appeal. Something that is found to be a bit unbelievable..that any commissioner of a professional sports league would be totally “unaware” of a situation like that. The arbitrator encouraged the sides to work toward a settlement, and it’s believed an agreement could be reached and a reduction in his suspension announced in the next week or so. Bell was suspended in April for his August 2014 arrest on DUI and marijuana possession charges. 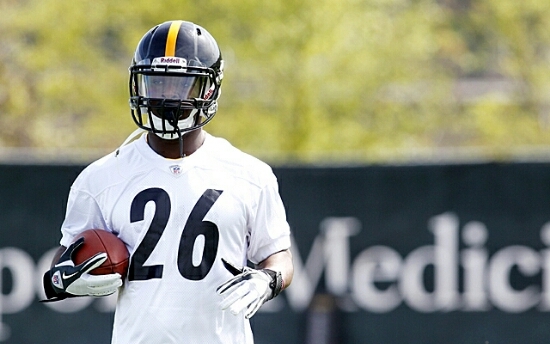 Bell, along with then-teammate LeGarrette Blount, were arrested while driving to the airport for a preseason game.